NHS England and the National Fire Chiefs Council (NFCC) along with other partners, started working together in 2015 at a national level to maximise the opportunities to better identify and support local people most in need. Since then, there’s been some fantastic progress with local areas starting to see results that are improving people’s lives as well as benefitting fire, health and care services. Evaluation so far indicates that every £1 invested by the Fire Service on a safe and well visit saves a minimum of £2.52 healthcare spend. This is calculated only on reduction in acute demand and based on the Greater Manchester FRS community risk intervention team who install risk reduction equipment, and support hospital discharge arrangements as part of their safe and well service. There are currently 41 of the 46 Fire and Rescue Services (FRS) providing support in 41 Sustainability and Transformation Partnerships (STPs) with the ability to reach 581,000 people in 2017-18. There’s a short video on the NHS England Youtube channel that provides a brief overview of the work and a great public-facing animation that shows what a safe and well visit is, on the Hampshire Fire and Rescue Service website. Common risk factors between health and fire services which increase demand such as multi-morbidity and frailty, cognitive impairment, smoking, drugs, alcohol, physical inactivity, obesity, loneliness and cold homes. FRS move towards prevention – most FRS have now moved significant resources towards preventing, rather than just reacting to fires. Opportunity to supplement (not replace) existing health support – each year 670,000 home safety checks were carried out by the FRS across England and many services recognised they could offer a more holistic assessment within these, with some already starting to work with health partners to provide support. There are estimated to be around one million people living with frailty in England and for those living with severe frailty (3 per cent of over 65s) they have four times the risk of hospitalisation, nursing home admission or death. Around one-in-three adults over 65 who live at home will have at least one fall a year, and about half of these will have more frequent falls. Unaddressed fall hazards in the home are estimated to cost the NHS £435million. There are around 255,000 fall-related emergency hospital admissions in England among patients aged 65 and older. The total cost of fragility fractures to the UK has been estimated at £4.4billion. 5 per cent (975,000) of older people often or always feel lonely, 1.7 per cent (200,000) of older people have not had a conversation with friends or family for a month, 31.4 per cent (3.6 million) of older people say television is their main form of company. Loneliness can increase risk of premature death by a quarter, is as harmful as smoking 15 cigarettes a day and people with a high degree of loneliness are twice as likely to develop Alzheimer’s disease. Locally, each service is agreed and set up by the FRS with health partners to respond to local need with common core components including falls and social isolation. In areas where relations between fire and health are more advanced, the actions taken with commissioners have gone beyond safe and well visits. For example, timely detection of atrial fibrillation, falls prevention initiatives, bowel cancer screening and both blood pressure and cholesterol monitoring. Leicestershire’s “Braunstone Blues” service combines fire, police and ambulance personnel and includes life skills training for local residents. 1,200 home visits – or 25% of homes in the area – led to a 3.3 per cent reduction in hospital admissions, and a reduction in calls to 999 from care homes and other institutions. The Hull FRS “FIRST” project delivers a falls intervention response safety team who are sent to falls calls screened by the Ambulance service as “non-urgent”. They undertake an assessment of need, and resolve instant problems that may have caused the fall, reducing waiting times for patients from on between four and six hours to an average of 16 minutes. In Hampshire, 30 per cent of the 375,000 over 65s are currently likely to fall in the next year, accounting for 40 per cent of ambulance call outs. Hampshire FRS use a falls screen in their safe and well visits and ‘at risk’ individuals are invited to a 12-week structured progressive exercise programme. Completion of the course has led to a 20 per cent reduction in the likelihood of a fall within the next year. A tele-monitoring service for Wolverhampton Council sees the FRS respond to 57% of alerts due to falls, of which 86 per cent are managed without the need for follow on ambulance/paramedic intervention. Cheshire FRS carried out over 15,935 safe and well visits between Feb-June 2016. Within this 1,098 referrals for bowel cancer screening were made and, in Halton CCG, 1,017 people were screened for Atrial Fibrillation using digital technology with 29 people referred for follow-up care with their GP as part of their stroke prevention programme. We talk a lot about partnership working in the NHS, however, we often narrow the boundaries to mean only health and social care. We hope that the information here convinces you about the opportunities to be gained from a broader approach to local services working together. While lots of health partners are engaged in the work, we’re keen to spread the word so local people and the NHS don’t miss out on the totality of support on offer. We believe that by jointly identifying people at risk, and taking a whole system approach to intervention, we really could make every contact count, irrespective of which service it is from. For more information visit the ‘working together’ pages of the NHS England website. Jacquie White is NHS England’s Head of Clinical Policy with responsibility for improving the quality of life for people with Long Term Conditions, Older people and those at End of Life. Jacquie has over 15 years’ experience of working in and supporting health and social care teams to improve the quality of services for and with their local population. Having started her career in fund holding in a small rural general practice, Jacquie has worked across the public sector at a local, regional and national level. 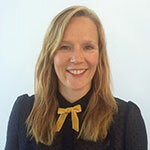 She has significant experience of both commissioning and provider development and of supporting teams to integrate care across organisational boundaries. Peter O’Reilly originally joined Greater Manchester Fire and Rescue Service (GMFRS) on 1 March 2011 as Director of Prevention and Protection after serving for 21 years with Northern Ireland Fire and Rescue Service. On 1 April 2015 he was appointed to the role of County Fire Officer and Chief Executive and in June 2016 was awarded the Queens Fire Service Medal (QFSM). 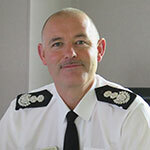 Currently Peter holds the Strategic Lead role for Health within the Chief Fire Officers Association (CFOA). Successes include the agreement and signing of a Joint Consensus Statement with NHS, PHE, LGA, and Age UK which has resulted in UK Fire Services delivering Safe and Well visits to those most vulnerable in communities. Separately, with the Association of Ambulance Chief Executives (AACE), he has signed a similar statement aligning the strategic intent for support to emergency medical incidents. Since joining Greater Manchester Fire and Rescue Service Peter has overseen the complete restructuring of the Prevention and Protection Directorate and aligned the Service with the Public Service Reform agenda in Greater Manchester. On 15 September 2015 Peter lead GMFRS to become the first Fire Service in the United Kingdom to assist its local ambulance service, by making available all of its firefighters, in responding to cardiac arrests.